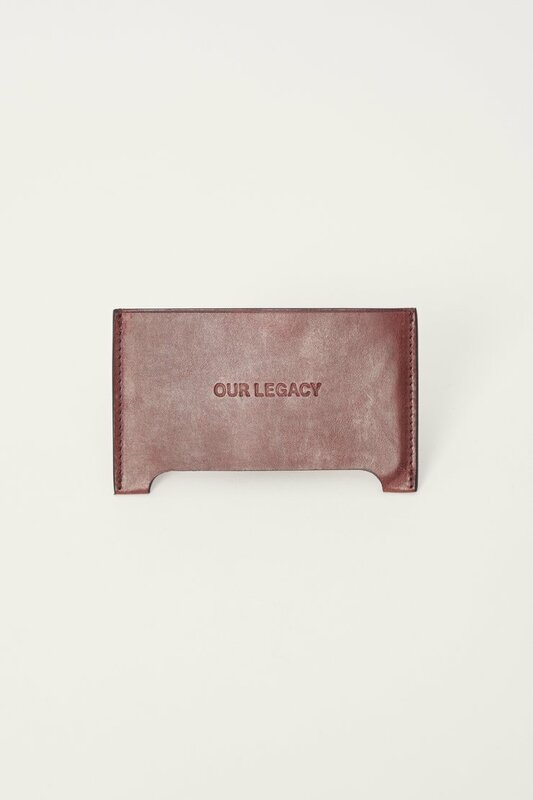 Our Distortion Card Holder in Burgundy. A small card holder designed to hold 3-4 essential cards, Distortion has slim profile with a cut-out base for easy access. The horsehide leather is sourced from an Italian tannery and is bonded to soft nappa leather lining.